If you own a dog, you know the value that furry friends add to your life. Dogs are after all man’s best friend and they become part of our families. They greet you excitedly when you come home after a long day. They lay on the couch with you while you watch TV. They go everywhere you go. They are our loyal companions and as members of our family they deserve our love and dedication. Yet even as we care for them, unfortunately they sometimes get sick. One of the most common diseases in dogs is diabetes. It is important to have your dog checked yearly, and have their vaccinations updated. Just like we have our yearly check-ups, our furry friends deserve to be checked. Signs of diabetes include excessive urination, hunger, weight loss, excessive thirst, and lethargy. If your dogs seems hungrier than usual you may want to have it checked by a vet in case of diabetes or another sickness. Your vet might recommend a specific diet change appropriate for the dog’s breed, age and size. Overweight dogs often succumb to diabetes, and the earlier your companion is diagnosed, the better to treat and care for them. Insulin. In rare occasions a vet may prescribe a human insulin, or possibly Vetsulin, which is a purified pig insulin. Your vet will take factors such as age and weight into consideration when choosing the best type of insulin for your dog. Diet. Your vet may recommend a change in diet for your dog that is low in fat and high in fiber. Fiber slows the entrance of glucose into the blood can help level out weight. You may have to feed prescription food or homemade food that contains protein yet regulates weight and reduces inflammation. Make sure that your dog drinks lots of water. Fiber takes water from the body which can lead to constipation and other problems. Have your dog checked often. Just as adults need annual check-ups, our furry friends need to be cared for as well. As dogs age they can develop sickness that can cause harm to their bodies and require a change in diet. You want to make sure that the food your dog is eating caters to their specific needs. Your vet can guide you on the best option for your breed. Exercise. 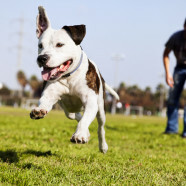 Just like humans require proper exercise, our furry friends also need their exercise to reduce their body weight and lower blood glucose levels. Consistency is key to maintain a healthy dog. You may be surprised to learn that there are healthy people foods that actually help to improve overall conditions in dogs suffering from diabetes. Feeding your dog coconut oil only helps with digestion, reduces inflammation, and helps prevent and even control diabetes. As an added bonus, you can add coconut oil to your dog’s coat to keep it clean and shiny. It is important to educate yourself as much about possible about the varying symptoms and cases of diabetes and check for abnormal symptoms in your canine. The more you learn the more prepared you will be if your furry friend develops the disease. Our canine friends are important and should be well cared for.